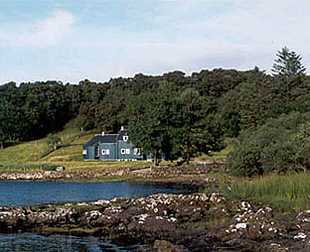 Inveralavaig is a new house in a quiet location on the East shore of Loch Portree and near the foot of one of Skye's well loved hills, Ben Tianavaig. The village of Portree is a 5 km (3.2 miles) drive from the house. A Scottish breakfast includes Nancy's home-made bread, oatcakes and preserves.